The AttoMap provides unprecedented resolution and sensitivity to enable cellular-scale understanding of metal dysregulation in diseased tissue and nanoparticle drug distribution in tissue. Sigray provides powerful chemical analysis for understanding: elemental distribution in plant cell walls, trace-level nutrient uptake in crops, plants designed for phytomining and environmental remediation, and microbial-root interactions. The AttoMap can perform repeated analysis of living plants, to assess the uptake and migration of nanoparticles and nutrients in roots and leaves as a function of time and environment. The TriLambda NanoXRM provides 3D ultrastructural information for downstream electron-based techniques, while the AttoMap provides multiple, correlative techniques within one system, including: microXRF, 2D x-ray microscopy, and optical microscopy for structure-function studies. Understand the composition of your sample. Down to sub-parts per million sensitivity for most elements, at microns-scale resolution. Probe oxidation states, bond lengths, and other electronic structure info. World's only commercial x-ray absorption spectroscopy system. 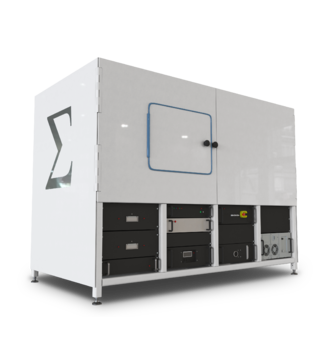 Analyze internal microstructures in 3D with the highest resolution x-ray microscope ever built.